Smartphones are kind of like the Swiss Army knives of the tech world. They make calls. They allow you to send and receive email, browse the Web, watch videos … the list goes on. But did you know they can also take your blood pressure and tell you when you’ve had too much to drink? A growing number of third-party companies are making add-ons for smartphones to help monitor your health. These go beyond the fitness-focused wearable tech devices that are so popular today, like the Jawbone Up and Fitbit Flex, with more specialized analysis. Katie Boehret took a look at a couple of these devices — the HeartMath Inner Balance Sensor and Tinké — in her column here. But there are others, as well. Below, you’ll find five accessories built to work with your smartphone or tablet and keep tabs on your health. Most are designed for iOS, but there’s one Android-friendly gadget in the bunch. Also, it should go without saying that these aren’t meant to replace regular doctor’s visits, and if you’re having a medical emergency, you should contact a professional. But they can be useful tools for preventative care and monitoring existing conditions. Once you snap the case onto your iPhone 4, 4S or 5, and download the free mobile app, you can begin the test by placing your fingertips over the sensors for 10 seconds. 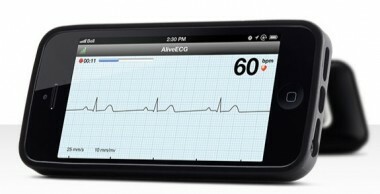 The app then displays the reading, as well as your heart rate, right on the screen. AliveCor will also securely store that data in the cloud, so you can analyze the data and share with your doctor. One important thing to note about the AliveCor Heart Monitor is that it must be prescribed by a doctor. You may know Withings for its smart scales, but the company also makes a Smart Blood Pressure Monitor for the iPhone, iPad and iPod touch. The accessory features a blood pressure cuff that attaches to your iOS device via 30-pin connector (those with Lightning connectors will need an adapter), and there’s an accompanying app. Once you’ve place the band around your arm, it can measure systolic and diastolic pressure and heart rate. The app automatically saves the data, so you can access your history at any time or share with doctors via email. You can also create multiple profiles for each member of your family, and the app provides advice and an FAQ section about blood pressure. 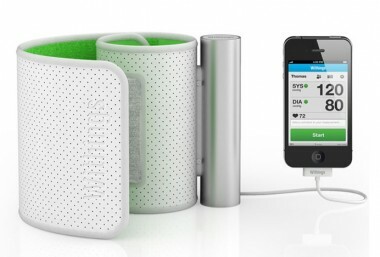 The Smart Blood Pressure Monitor costs $130. For those with diabetes, the iBGStar Blood Glucose Monitoring System allows users to check blood glucose levels and manage data right from their mobile device. Similar to the Smart Blood Pressure Monitor, the accessory attaches to iOS devices via the 30-pin connector or Lightning adapter. It comes with a lancet device and test strips. After inserting the strip into the bottom of the accessory, you can then apply your blood sample, and the built-in meter will calculate test results. All data is logged in the app, and information can be shared via email. The iBGStar with 10 test strips costs around $72; the price goes up to $100 if you want 50 test strips. 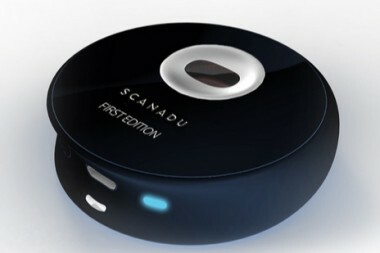 The Scanadu Scout isn’t about diagnosing problems on the spot. Rather, it’s about collecting data over time, so that people can keep track of changes in their health and identify when things are abnormal for them and not based on medical averages. For “Star Trek” fans, think tricorder. Created by a Silicon Valley startup, the Scanadu Scout is a small puck that you place on your forehead for 10 seconds, and the sensors inside measure your heart rate, skin/body temperature, oxygen saturation levels, respiratory rate, blood pressure, ECG and emotional stress. All of this data is then sent to the smartphone app (iOS or Android) via Bluetooth, where you can analyze and track the information. The Scanadu Scout isn’t available yet. The company raised funds to go into production through Indiegogo, and has met its goal. There are still 18 days left in the campaign, so you can purchase one for $199 (up from the original $150 price), with an expected delivery date of March 2014. The company also has plans for a urine test kit called the Scanaflo. Should you have had that last glass of wine? The BACtrack Mobile Breathalyzer can tell you. Blow into this mobile breathalyzer, and it will send your estimated blood alcohol content (BAC) level to your iPhone via Bluetooth, so you know whether it’s safe or not to get behind the wheel. The app can even estimate when your blood alcohol level will return to zero percent. There are also tools for tracking what and how much you drank in a day, and you can choose to keep all of the results private or share them with friends via Facebook, Twitter or text message (err, for bragging rights, I guess?). 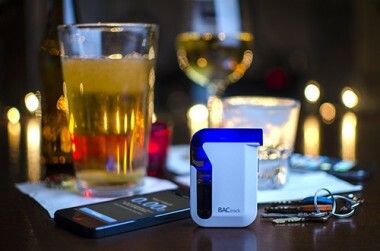 The BACtrack Mobile Breathalyzer costs $150, and is available now.